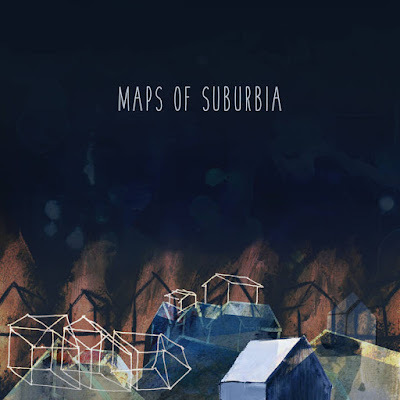 MAPS OF SUBURBIA is a collaboration fronted by Nick Perlman on lead vocals and guitar and backed by Andy Porta on drums, guitar, and mixing-board sorcery, Seth Nicholson on bass, and Danny Flinn on bodhrán, with everyone lending their vocal talents. Together they create a dynamic sound that slips back and forth between alt-country, surf-rock influenced folk and haunting soundscapes. Each song from "Maps of Suburbia" lingers somewhere between the past and present, and explores nostalgia, loss, and joy in equal measure. Maps of Suburbia [EP] by N.P.